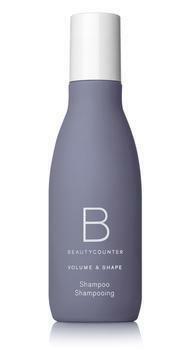 Beautycounter of Santa Monica, Calif., is recalling about 496 tubes of Beautycounter Volume & Shape Shampoo. The product is contaminated with Pseudomonas aeruginosa, an opportunistic pathogen which can cause infections in individuals with weakened immune systems. The company has received no reports of incidents or injuries to date. The recalled product is a translucent, pale yellow hair cleanser with a citrus, floral fragrance and comes in a 250mL size grey-blue plastic tube with Batch/Lot# 7F2819. It was sold individually as SKU: 3050, and as part of the following sets: SKU: 7150 Volume & Shape Collection and SKU: 7126 Hair Pre-Sale from July 14 – July 21, 2017. Customers who purchased the recalled product should immediately stop using it dispose of it. Affected customers will receive a replacement. Consumers with questions may contact Beautycounter toll-free at 1-888-988-9108, between 8 a.m. – 5 p.m. (PST), Monday through Thursday, and between 8 a.m. – 1 p.m. Friday.